Timespan: From 19.1.2016 until 19.2.2016 or until stocks last. 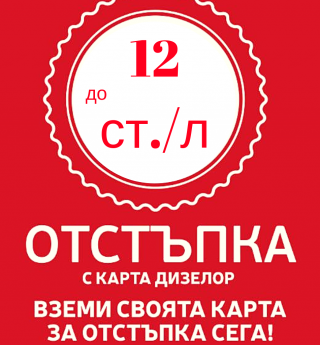 Timespan: From 18.11.2015 until stocks last. Timespan: From 26.10.2015 until 26.11.2015 or until stocks last. Timespan: From 21.10.2015 until 04.11.2015 or until stocks last. Timespan: From 14.08.2015 until 31.08.2015 or until stocks last. 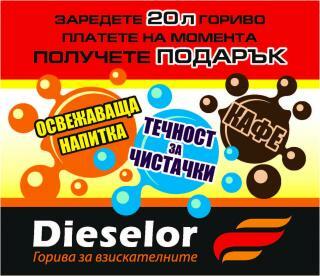 Do not miss the promotion in petrol station Dieselor in Varna. Take one coffee with vaflaHely at a special price.